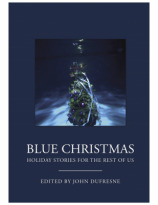 BLUE CHRISTMAS is an anthology with contributions from the following authors: Diana Abu-Jaber, Preston Allen, Steve Almond, Lynne Barrett, Tricia Bauer, Colin Channer, Jon Clinch, John Dufresne, Ed Falco, Robert Goolrick, Ben Greenman, James W. Hall, Jane Hamilton, Ann Hood, Lee Martin, Ana Menendez, and Les Standiford. Here are seventeen stories about the varieties of the Christmas experience by seventeen of our finest storytellers, and not one relies on borrowed feelings or seasonal stereotypes, and none engage in the grand yuletide conspiracy of mirth and good cheer. Yes, it’s a wonderful life . . . for some of the people, some of the time. But fiction that tells the truth is never about the merry citizens of Blissville or Bedford Falls. Fiction is always and only about trouble --- right here in River City. And during the incessant holiday festivities, our own chronic troubles are acutely magnified; our losses are more keenly felt. These Blue Christmas stories are not the palliative escape from reality that we’ve come to expect from our saccharine Christmas narratives, but are, in fact, plunges into an oftentimes distressing reality. 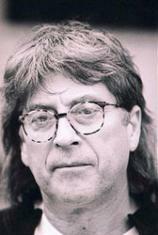 They offer you the gifts of honesty, suspense, and transport. They’ll carry you away to a world more intriguing and compelling than the one you spend your days in. A Merry Blue Christmas to us all!